Here is a great easy log cabin quilt that I designed. Cabin in the City is made with Pat Sloan’s new fabric line One for you, One for me from Moda. 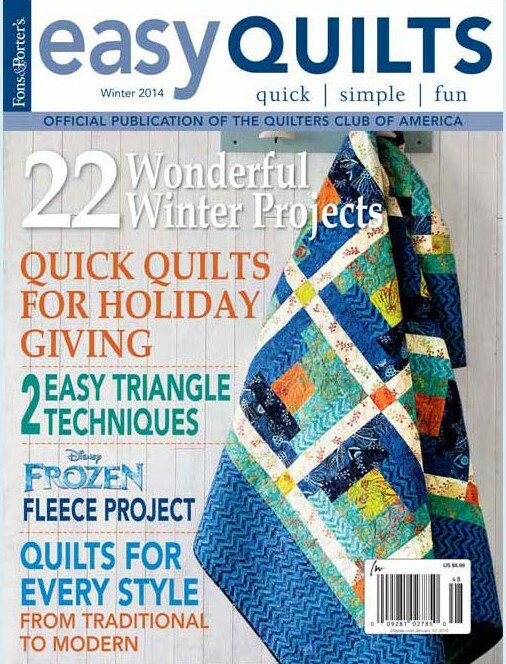 Check itout in the current issue of Fons & Porter Easy Quilts Winter 2014 .